The most important events of the month. On June 1, 2018, visiting one of the frontier posts on the border with Ukraine, Aliaksandr Lukashenka ordered to study the possibility of redistributing personnel between the army and the border troops in favour of the latter within 2-3 thousand military personnel. The reason is supposedly the more effective training of border guards in comparison with the army. At the same time, the Belarusian leader suggested that Russia finally decide on the format of control of the border with Belarus by the Russian border guards. After that, the official Minsk will act symmetrically, even deploying border troops on Belarusian side of the border. The Belarusian-Russian summit was held on June 19, 2018. The leaders of the two countries allegedly discussed some confidential issues. Judging by the fact that the meeting of Aliaksandr Lukashenka and Vladimir Putin did not cause an outbreak of enthusiasm among the Belarusian state propaganda, there was no breakthrough in relations. Including in one of the most painful issues personally for the Belarusian leader — the deployment of the Russian border guard at the border with Belarus. The developments within the month. On June 1, 2018 Minister of Foreign Affairs of Belarus Uladzimir Makei stated the possible revision of Minsk’s refusal to increase the Russian military presence on its territory, if there is a need from the security point of view. This perspective is connected with the deployment of military infrastructure and additional forces in the neighbouring NATO countries. It is interesting to note that the statement of the Minister was made in response to a question from the American news agency. And less than two weeks before the visit to Brussels of the delegation of the Belarusian Defence Ministry to discuss the prospects for cooperation between Minsk and NATO. On June 3-6 in Minsk, the 19th session of the Belarusian-Russian intergovernmental commission for military-technical cooperation was held. 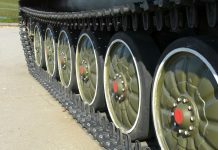 The parties discussed issues of cooperation in the field of supply and modernization of weapons, military and special equipment, the creation of modern models, the certification of Belarusian enterprises for the right to perform overhaul of Russian-made equipment, pricing for the supply of military products to the markets of third countries. The parties intend to update the intergovernmental Agreement on the implementation of the Program of Military-Technical Cooperation between Belarus and Russia until 2020. On June 4-7 in the Mahiliou region, the State Security Committee of Belarus (SSC) conducted exercises to organize the response and interaction of government authorities for the liquidation of an illegal armed group. In addition to the special services units of the Ministry of Internal Affairs, the State Border Committee, the army, the Emergencies Ministry and other state bodies took part in the events. Military equipment was used. A formal pretext for the event was the preparation for the security of the II European Games, which will be held in Belarus in 2019. On June 5-6, a meeting of the defence ministers of the CIS countries was held. Among other documents, intergovernmental agreements on the use of military satellite communication systems, as well as on cooperation in the exchange of geospatial information, were signed. During the event, Russian Defence Minister Sergei Shoigu urged the Commonwealth countries to participate in the restoration of Syria. The format of possible participation: military police mission, humanitarian demining, humanitarian assistance, restoration of infrastructure. — ideological work and information support of state policy during the growing military threat. — ideological work and information security of the state. In June, the fact of the delivery of MLRS “Polonaise” to Azerbaijan was officially confirmed. On June 11, 2018 President Ilham Aliyev examined the equipment. As far as we can judge, the battery of “Polonaise” was provided to Azerbaijan. On June 12-15, command and staff exercises to manage the forces of territorial defence during the preparation and defence of the city were held in the Biarozauski district. The personnel of territorial troops and internal affairs agencies worked out the arrangement of mine-blasting obstacles, service at the checkpoint, preparation for the defence of the settlement, and military operations for holding the strongpoint. To get acquainted with the preparation of the city for defence and defence in the city, the organization of the headquarters of the territorial defence in Biaroza brought together the chairmen of all district and city executive committees as well as military commissars of the Brest region. The active phase of the exercise was preceded by a military training camp, held from 23 May to 11 June. On June 18, the information that Serbia was currently negotiating the delivery of four MiG-29 fighters from Belarus on a non-refundable basis was spread. On June 18-28, the traditional Belarusian-Russian-Serbian tactical exercises “Slavic Brotherhood” was held on the territory of Russia. During the active phase of the exercises, joint actions to destroy the illegal armed formation and to release hostages were taken. According to the plan of the exercise, the militants seized the border territories of the conditional state, where civilians were held hostage. The event became the largest in the history of its conduct: more than 700 people from the Russian side, more than 250 from Belarus and more than 50 servicemen from Serbia. On June 24, Azerbaijani President Ilham Aliyev met State Secretary of the Security Council of Belarus Stanislau Zas in Baku to celebrate the 100th anniversary of the Azerbaijani army. During the meeting, the prospects of cooperation between the two countries in the sphere of security were discussed. On June 30 President Lukashenka made personnel changes in the SSC command. As a result, five of the six territorial departments of the special services got new leaders, mainly due to the relocation of the heads of regional SSC departments to new regions. Appointing the new leaders, Lukashenka stressed that their main task is to ensure the internal security of the state. And the activity of the territorial divisions of the SSC is closely monitored. In June, the prosecutor’s office continued to work to strengthen the rule of law in the troops. In the Hrodna region, prosecutors identified a number of violations in the military units of the Western Operational Command of the Army of Belarus. The accounting of the training time and the duration of the service of reservists was organized inadequately. There are shortcomings in the organization of the training of reservists in part of maintaining and strengthening military discipline. Prosecutors of the Vitsebsk region held a number of meetings in military units to prevent military crimes and other violations among conscripts. The prosecutors paid special attention to communication with the new servicemen. Also in June, an interdepartmental meeting on strengthening military discipline with the participation of representatives of the Minsk region prosecutor’s office and heads of military counterintelligence departments of the SSC was held. The goal was to strengthen the interaction of the prosecutor’s office and the special services in maintaining law in the troops. It is stated about the high latency of military crimes and the impossibility of their timely detection without effective operational work. Because of this, preventive measures are ineffective. As a result of the meeting, an algorithm for joint actions to prevent violations in the army, timely detect and suppress of hazing as well as to prevent suicide was developed. A bilateral command and staff game with mechanized brigades of the Western Operational Command was held. The scenario was based on the analysis of contemporary armed conflicts. The issues of protection and defence of important facilities, reconnaissance and fire destruction of the enemy, control of mechanized forces in the course of military operations were trained. In June, a large-scale exercise of signal troops was held. It involved about two thousand troops and up to half a thousand units of equipment. The troops trained the interaction with the electronic warfare units, Special Operations Forces, UAVs, enterprises of the State Military Industrial Committee (obviously, on the operation of the new/modernized signal equipment) and other organizations. In Vitsebsk region there were regular training sessions for district heads and representatives of military commissariats on territorial defence. They studied the organization of feeding of servicemen in marching conditions and services at the checkpoints. During the whole June, high-ranking officials of the healthcare sphere were arrested in Belarus. 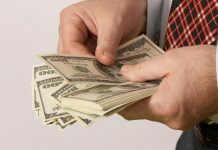 A multi-year system of abuse in the medical industry was discovered. Many high-ranking officials were involved in it. Conclusions. Aliaksandr Lukashenka’s statements about a higher level of training of border guards in comparison with the army is an indirect evidence of his dissatisfaction with the situation in the Armed Forces. The State Border Committee demonstrates the ability to provide an acceptable level of border security with the current staffing strength. But only on the basis of the extent of the now protected sections of the border. 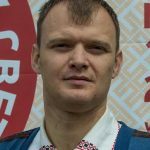 It is obvious that the Belarusian authorities are ready to respond symmetrically to the deployment of the border guard in the Belarusian-Russian sector of the border by Moscow. It will take at least 5 thousand border guards. In the Belarusian army at the current time there are no “extra” personnel units. Reduction of the army in the conditions of expanding the list of tasks facing it and the current military and political situation in the region is inexpedient and will negatively affect the military security of the state as a whole. The organization of border protection with Russia should be carried out by increasing the staff size of the State Border Committee and redistributing personnel from the western border. The statement by Uladzimir Makei regarding the possibility of deploying Russian military forces in Belarus could be both a slip of the tongue and an attempt to use the Russian military threat in order to achieve some positive steps of the West towards Minsk. The Belarusian authorities for a long time demonstrate an interest in a direct dialogue with NATO on the Alliance’s activity on the eastern flank. So far, there’s no success in it. The Belarusian authorities are afraid of the possibility of collusion between the West and Russia at the expense of the interests of the post-Soviet countries of the region. And they would like to have a direct communication with both sides of the current confrontation. Mr. Makei’s statement, regardless of its cause, casts doubt on the statements from Minsk about some situational or de facto neutrality of Belarus in the course of Russia’s conflict with Europe and the United States. The program of military-technical cooperation between Belarus and Russia until 2020 can be considered more likely to have failed. Basically, due to the lack of proper financing from the Belarus and unwillingness to fulfil its obligations from Russia. In this connection, taking into account the early completion of the program, it is not clear whether it is necessary to update it, and not to develop a new cooperation program for the future. Sending Belarusian servicemen to Syria is unlikely. 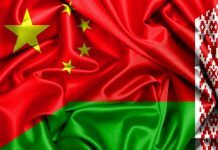 The Belarusian society reacts extremely negatively to the possibility of involving their country into foreign armed conflicts. The authorities also have negative attitude to this perspective. Belarusian participation in the restoration of Syria can be limited to rhetoric, providing humanitarian assistance and participating in the restoration of facilities on a commercial basis. Probably, Azerbaijan received only the first batch of “Polonaise”. The execution of the Azerbaijani contract could become one of the reasons for the growth of the indices of the domestic military industrial complex in the first quarter of this year. 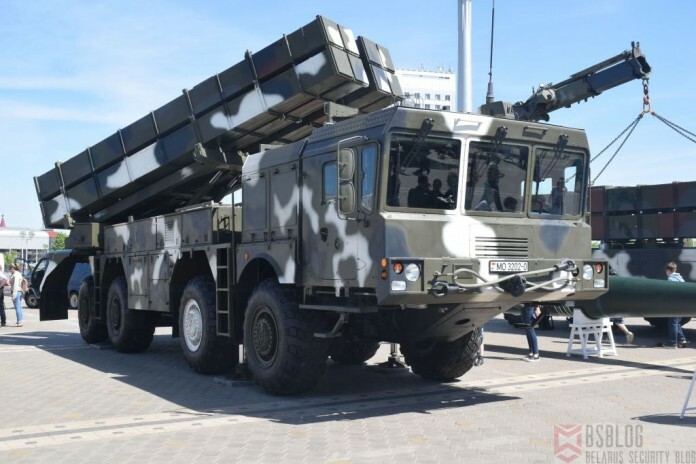 The nature of the Belarusian-Azerbaijani cooperation in the field of security implies the existence of large-scale joint projects in addition to the MLRS “Polonaise”. It is very likely that it is about creating a national medium-range anti-aircraft missile system in Belarus. As well as further modernization of the “Buk” missile defence system, including integration into the system of missiles with an increased range. It is interesting that in Azerbaijan “Polonaise” is considered a missile complex, and not a reactive artillery like in Belarus. In April 2018, the Minister of Defence of Serbia, Alexander Vulin, thanked Belarus for supplying the aircraft to his country. It is necessary to recall that according to the agreements reached, Belgrade expects to receive eight MiG-29 fighters from Belarus. Serbia plans to have 14 usable MiG-29 fighters in the near future: four own aircraft, six already delivered by Russia and four more from Belarus. It turns out that the aircraft, which Alexander Vulin mentioned in April, have not yet been delivered to Serbia. Although the reception of the head of the Security Council of Belarus by the Azerbaijani President was of a protocol nature, we note that the Azerbaijani leader personally received only four delegations: Belarusian, Turkish, Pakistani and Russian. This once again underlines the special nature of the cooperation between Minsk and Baku. Appointments of new commanders in the SSC system were not of an extraordinary nature. The reason is seen in Lukashenka’s desire to strengthen control over the situation in the country ahead of the presidential and parliamentary elections, which will take place against the background of a very unfavourable external situation. The changes are aimed at preventing merging of local officials and heads of regional SSC departments, avoiding clannishness, mutual responsibility and guaranteeing objective information to the central authorities on the situation in the regions. With the latter, several problems have been observed for a long time. President Lukashenka has repeatedly admitted that he does not trust officials who try to hide problems from him and embellish the situation. Without any doubt, the activities of the SSC are controlled. The question is the effectiveness of such external control. This is connected to the specifics of the SSC activities, which for the most part are conducted secretly and are hidden from an outside observer. The control over the activities of the special services is an extremely difficult issue, which has been completely solved, perhaps, in no country. It is necessary to admit that complete control over the activities of special services is practically impossible. Most of the crimes identified in the last 9 months in the army happened in one of the largest garrisons in the country – Barysausky, which in theory should be under scrutiny of the military counterintelligence of the SSC. The fact of massive violations of the law for a sufficiently long time, which led to grave consequences, testifies either to the ineffectiveness of the operational work of military counterintelligence agents, or to the ignoring of the identified problems. The fact that during the joint meeting of the Prosecutor’s Office of the Minsk region and the territorial military counterintelligence bodies the issue of the effectiveness of the counterintelligence operative work was raised indicates serious gaps in this work. At least in terms of maintaining law. And, probably, this problem is relevant not only for the Minsk region, but for the country as a whole. Law enforcement agencies and special services could not have noticed abuses in the sphere of public health services. However, until a certain moment there was no political decision to deal with this issue. It is a matter of postponed criminal prosecution: during a certain period, information about unlawful activity accumulates, and the criminal case itself is initiated for reasons, not directly related with the fight against crime. Obviously, the future presidential election is the reason. We are seeing a PR campaign to increase the ratings of the authorities and personally President Lukashenka as a fighter with medical abuses, which has long been observed by the public. Other important motivations for initiating criminal prosecution right now are the need to intimidate and discipline officials ahead of elections, and to increase the efficiency of spending public resources.